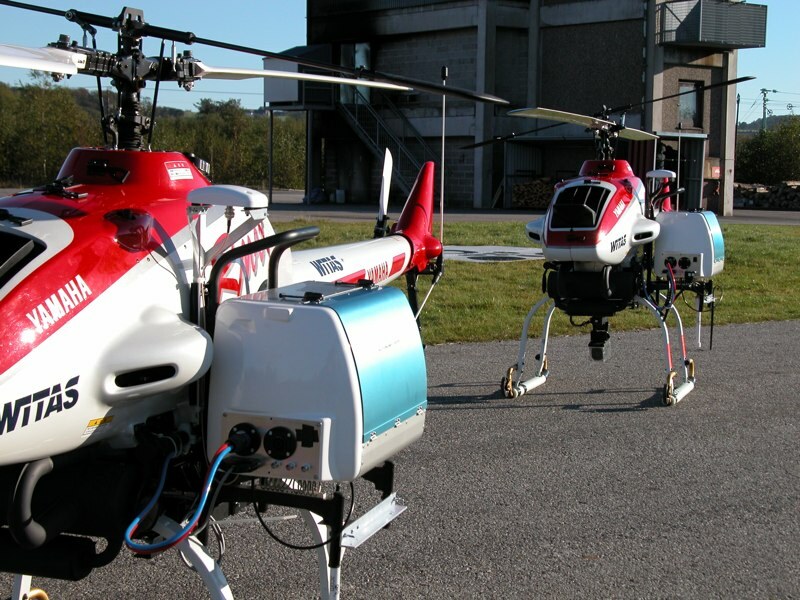 Unmanned aerial vehicles (UAVs) provide one important application domain for our research. The Artificial Intelligence and Integrated Computer Systems Division (AIICS) has circa 20 members and three research laboratories which include five (research) groups. The director of the division is Professor Patrick Doherty who may be contacted at patrick.doherty@liu.se. The main focus of interest for the AIICS division is artificial intelligence and its application to intelligent artifacts. Intelligent artifacts are defined as man-made physical systems containing computational equipment and software that provide them with capabilities for receiving and comprehending sensory data, for reasoning, and for rational action in their environment. 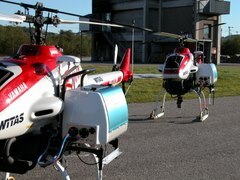 Examples of such artifacts range from PDAs and software agents to ground and aerial robots (UAVs and UGVs). An equally important focus is the development of integrated systems which include hardware, software, sensors and human users. Multi-Agent Systems - Research with multi-agent systems involves the study and development of AI problem solving and control paradigms for both single and multi-agent systems where issues related to interaction, cooperation, autonomy, and distribution are paramount. Planning and Diagnosis - Research with automated planning involves the study and development of algorithms which generate strategies or sequences of actions to achieve goals. Research with automated diagnosis involves the study and development of algorithms which capitalize on cause-effect information in a system or environment of a system in order to trouble shoot and provide explanations and remedies for faulty system or cognitive behavior. Cognitive Robotics - Research with cognitive robotics involves the study and development of higher-level cognitive functions that involve reasoning and empirically testing such functions on deployed robotic systems. Central to the endeavour is the efficient use and and representation of models of both the robot and its embedding environment and grounding these models in such environments through sensing and perception systems. Logic is often the modeling language of choice in this respect. Applied Logic - Research in applied logic involves the study and use of logic as a representational mechanism for constructing models and a reasoning mechanism for using such models in intelligent artifacts such as software agents or robotic systems. Autonomous Systems - From our research perspective, autonomous systems are man-made physical systems containing computational equipment and software that provide them with capabilities for receiving and comprehending sensory data, for reasoning, and for rational action in their environment which is independent of human control. The degree of independence varies relative to task and purpose. Consequently, systems can be more or less autonomous. Our focus is on the study and development of hardware, software and algorithms for autonomous unmanned aircraft systems which interact with both other agents and with human operators. Perception and Control - Perception is the process of attaining awareness or understanding of sensory information and using that information to act. Control is the process of influencing a dynamical system to act in a goal-directed manner. Taken together, perception and control is an essential component in an autonomous system.Our focus is the study and development of perception and control systems for both fixed-wing and rotor-based unmanned aerial vehicles systems.